What's on Netflix > Netflix News > Are Seasons 1-4 of Outlander on Netflix? Are Seasons 1-4 of Outlander on Netflix? 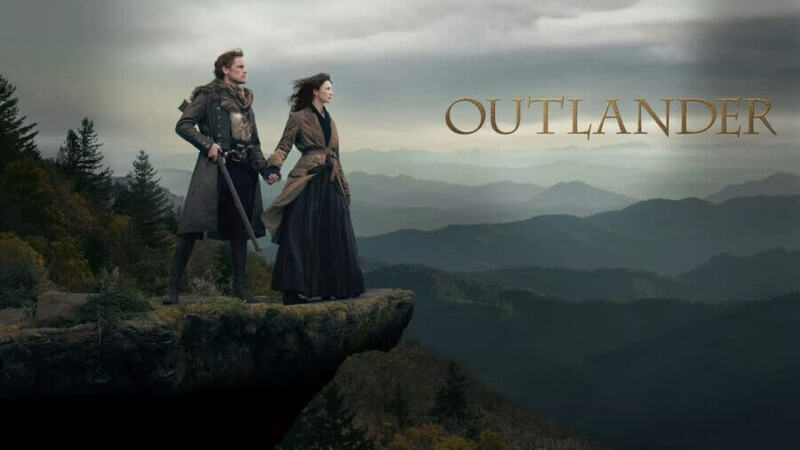 Outlander remains popular heading into its fourth season on Starz in 2018 and 2019 but can you watch the previous three seasons on Netflix and if not, will they be coming? Let’s take a look at Outlanders streaming plan across the world and whether that involves Netflix. Based on the novel series of the same name, this fantasy drama which airs on Starz follows a World War 2 nurse who is transported back to Scotland in 1743 and has to quickly adapt to her new change in circumstance. Although the series had a strange debut with its first season split up into two halves of eight episodes, it’s remained consistent sine with 14 episodes a season. In addition, it’s also stuck to a regular yearly release schedule. Season 3 began airing on Starz on November 4th, 2018 and is due to wrap up on January 27th, 2019. Why isn’t Outlander on Netflix in the United States? If you’re in the United States, you won’t be able to find Outlander streaming nor will you ever in the future. That’s because Starz has put the show front and center as the centerpiece for its Starz streaming service. As you know, Starz is a premium subscription channel and as a result, you’ll need access to their streaming channel either separately or through an add-on through Hulu or Amazon. Netflix DVD carries the boxsets with the most recent season releasing back in April 2018. Why isn’t Outlander on Netflix in the United Kingdom? Outlander isn’t on Netflix because it resides on Amazon Prime as an “Original” on their platform. The good news for Brits is that new episodes release on a weekly basis and unlike the US, doesn’t need an add-on. Where is Outlander streaming on Netflix? Netflix does carry Outlander in multiple regions, however. These include English speaking countries such as Australia and Canada but according to Unogs, it also includes mainland Europe, Latin America and most of Asia too. When will Season 4 of Outlander be on Netflix in Australia and Canada? For those in Australia and Canada waiting for season 4 of Outlander to be on Netflix, you’ll be waiting until mid-to-late 2019. Season 3 arrived on Netflix in Canada in August 2018 and Australia in September 2018 meaning we can expect a similar month window for 2019. Is Outlander streaming on Netflix in your region? Let us know in the comments.